Jacqueline Barnes Marshall was born on December 14, 1950 to the proud parents of Leroy Ingram and Mamie Lue Lilliard in West Palm Beach, FL. As a young child Jackie refused to spell c-a-t, d-o-g, or even s-t-o-p. She later attended Roosevelt High School. Ironically, she would go on to teach all five of her children and other kids from the neighborhood the importance of education. The church has not always been the center of her life, but after she found Christ as a young adult, there was no turning back. The union of Dugard Gale and Jacqueline Barnes produced three additional children to her already two. In addition to their love, she was showered with love and affection from 17 grand-children and one great-grand child. A God-fearing, loving and cohesive family was always her biggest aspiration and accomplishment. As a native of Florida, she joined Union Missionary Baptist Church. She was proud to be a crusader, trying to turn people toward the love of Christ. Another interest of Mama Jackie was serving her community. She was known as the neighborhood "ice cream lady". Through this she was able to minister to the kids in the community on the importance of education, entrepreneurship and religion. She was very active in supporting her children's activities when possible. She also served on the Palm Beach County School District Transportation Department. She safely and proudly transported students to and from school with love. She had to end her career, driving school buses to become the primary care provider for both her sister and mother. The ultimate testament of a person's life is not when they were born or die; it is what they did and their level of impact while on this earth. Mama Jackie impacted anyone she came in contact with even up to her sudden and untimely death. We're so thankful, that God allowed us to have witnessed, shared and felt the impact of such a loving Mother and Friend. After witnessing about the Glory of the Lord during a telephone conversation, Mama Jackie laid down for a peaceful nap and transitioned into the arms of her Lord and Savior, Jesus Christ. As she peacefully went to Paradise, she left us all with her beautiful smile. She loved the songs: "Going Up Yonder", and "I Got a Seed in the Ground". Mama Jackie has already gone up yonder and many of her seeds have already blossomed. Praise the Lord! She is survived by her loving Mother, Mamie Lue Lilliard and her sister, Dorothy McCray. Her five children: Lionel Lilliard, Kevin Barnes, LaRingayle Gale, Keathun Gale and Myree Gale. She also had 17 Grand-children; and one Great-Grand-child. Goddaughter: Joneisha Curtis. She was preceded in death by her husband, Randall Marshall. 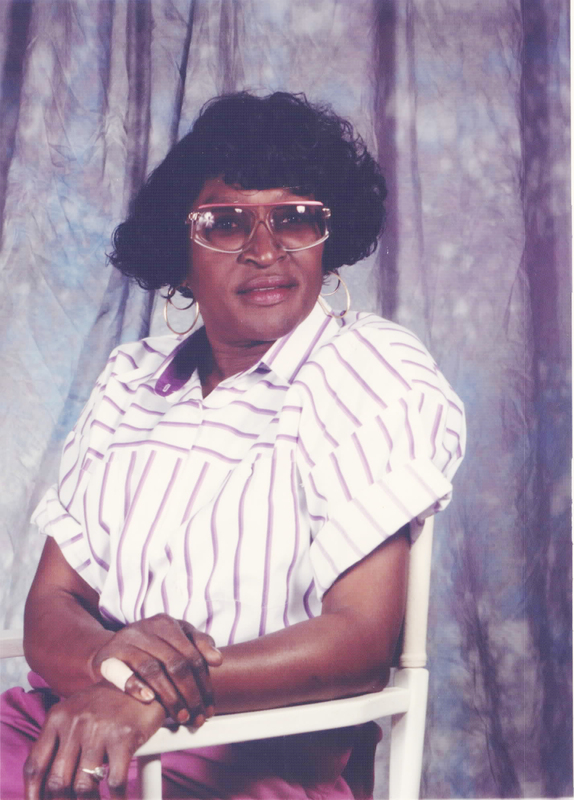 Funeral services for Mrs. Catherine Snead will be held on Saturday, February 14, 2015 at Allen Chapel A. M. E. Church 132 Bumphead Road Americus, Georgia with Reverend Lodenia Coleman officiating. Burial will follow at Staley Memorial Gardens. Ms. Catherine Elizabeth Renfroe was born on September 11, 1931, in Milledgeville (Baldwin County), Georgia to the parentage of Mr. William and Mrs. Mary Pearson Renfroe. She was the youngest of her four siblings, who preceded her in death. She was educated in the Baldwin County Public School System, and graduated from Eddy High School. She further pursued her education at Savannah State College (now Savannah State University), earning a Bachelor of Science Degree in Elementary Education. Ms, Catherine united in Holy Matrimony with Mr.Tommy Lee Snead on December 24, 1954. She joined Campbell Chapel A.M.E. Church, and she sang in the choir for many years. Ms. Catherine and Mr. Tommy were blessed to parent their only beloved son, William Keith, who they loved and cherished. Keith knew and understood that there is no love like his mother’s love, so when his father expired, he brought his mother to live with him in McDonough, Georgia, for thirteen years, until her demise. Affectionately, and passionately, she surrounded herself with children and young people, at work, in church, and in the community. She taught in Buena Vista, (Marion County), Georgia, and Sumter County School Systems. She retired with 35 years of dedicated service from Sumter County School System. She loved life, gave love, and showed compassion to those who she met, knew, and interacted with. Drawn to the beauty of nature, Catherine maintained a flower garden that gave off fragrance and foliage in the Dismuke Street Neighborhood. She was a virtuous, kind, well-dressed lady of dignity, who was often seen and admired for strolling up Lee Street to downtown Americus. She was different, she was special. Left to cherish her memory are her one and only devoted son, Mr.William Keith Snead, McDonough, Georgia; her grandchildren; Mrs.Tiffanie Snead Jeter (Ramon); Mr. Jared, and Ms. Ke’Andrea; a host of cousins, including Dr. Herbert Stone, Mobile, Alabama; and her devoted care-giver of eleven years Ms. Cassandra Richardson . Special friends who loved her are: Ms. Ethel Wilson, Mrs. Patricia (Willis) Hollis; Ms. Andrea Trent, Mr. Dre’Von Trent, The Fagan Family, The Morgan Family, Ms. Geneva Battle, Mrs. June (John) Hudson, Ms. Lavonia Sneed. Ms. Verneen Evans, The Seay Sisters, Ms. Eula Mann, Ms. Emmarene and Mr. John Durrell Streeter.